By the end of the day, us parents are counting down the minutes to get into a hot and relaxing shower or bath after a day of chasing around kids and a long day at work. Some kiddos are not so easy to please. The reality is that baths and showers can be a nightly struggle filled with tears and floors filled with water and bubbles. If you are feeling defeated every night, have no fear. Kids crave rituals; so, begin creating a bath time schedule. Start at the same time each night, have scheduled play time with bubbles, read a short story or sing a song, then start the scrubbing. 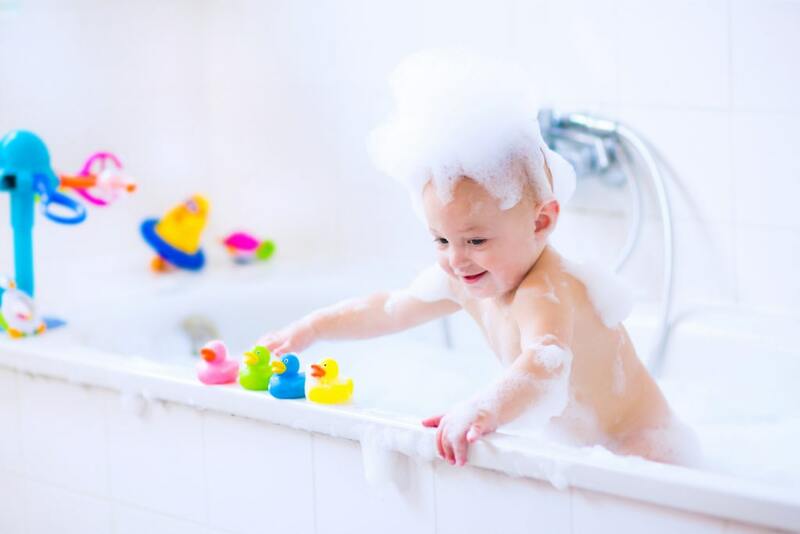 Have them play a role in their bath time and have them pick out their choice of washcloth and use their favorite shampoo and bath wash for “cleaning time”. Once done, sing a song while you rinse them clean. However, not all kids like the water so bath or shower time can become a scary place. Ease them into it. If they enjoy pool time, but not bath time, have them wear their bathing suit in the bath. Scrub them down with bubbles really good and tell them that they have to take the suit off to rinse off. Instead of filling the shower, use their favorite cup and rinse them off that way or, take the shower-head down and let them hose themselves off. Don’t get upset if they get water out of the tub this way, it’s just water Mom! Some kids have too much fun in the bath and never want to come out! For these parents, it can become a slippery wet mess to wrangle them out. To combat this, bring their favorite stuffed animal in the bathroom and put them in their own “imaginary” bathtub, i.e, an empty bowl on the floor. Give their friend a time limit and take them out of their bath. Hopefully, your kiddo will follow suit. Also, use a timer; this will help get them used to a set time frame for bath time. Once the timer goes off, that is it. 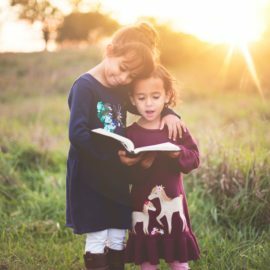 Have something special or a reward after, like their favorite book or soft PJ’s waiting. Try Out These New Bath Time Favorites to make it more fun for everyone! NEVER LEAVE A CHILD UNSUPERVISED IN A BATHTUB OR SHOWER FOR ANY REASON!